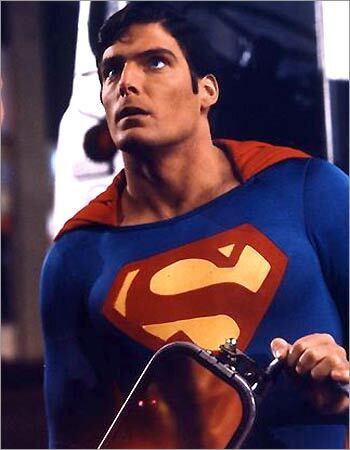 I think if everyone whose life was touched by the Christopher Reeves Superman movies gave DC one buck, they would never have to worry about the power bill again. Superman, and even more so Superman II, were my introductions to Kal-El. A guy, raised in a country town (like the one I was living in), that became this incredibly just person, always ready to help. It didn't matter if your cat was stuck in a tree or a bomb threatened your national landmark, Superman didn't discriminate on the size of the crisis - unlike other 'heroes' - if it mattered to you, it mattered to him and that's what made him a 'super-man'. I've always loved slapstick, so Reeves’ Clark Kent covered that note perfectly, and of course there were the powers. While I never brought the whole 'flying round the world to reverse time' thing, flight and strength are always good and after a hard days work, who doesn’t want to have a train run across their back, just to work out any aches and pains? Pictured: My favourite Superman image by Jim Lee (left), and my first ever solo Superman comic Superman #392 (right). 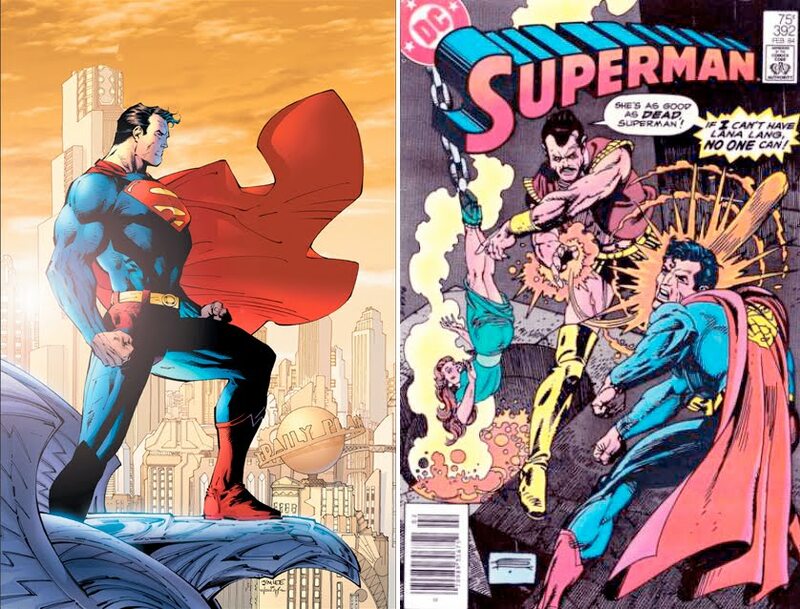 While many imitators have taken to the skies since Clark first appeared, Superman’s real world impact has been unmatched. Not only would you have to walk 500 miles into the middle of the amazon forest to find someone who doesn’t recognise his likeness, there’s a spirit that accompanies the ‘S’. It’s become the biggest brand of pop-culture and one that’s infamous with freedom, safety and strength. Odd point though; I could never see the ‘S’. I saw a comma, a spoon and a fish. The way my eyes worked, the yellow areas came forward over the red. Sure, I thought it was odd, but I just figured it was his alien language – until a question in Game of Knowledge pointed out the error of my ways. Speaking of errored ways, I think Superman’s rouges gallery rarely gets the credit it deserves and one of the to-do list jobs I have, is to do a massive group shot of them all; Brainiac, Metallo, Bizarro, Solaris, Conduit, Zod – the works. Where the time will come from I'm not sure, but when it finally gets done I promise you will see it here first. Infact, one of my earliest memories is of my Grandmother sewing a Superman cape for me to wear around the house, been presented with it, and been stuck between saying 'thank you' and pointing out that Superman’s cape was red not blue, and I wanted to fly not swing. While I have only randomly plucked issues of Spider-Man, The X-Men and Batman from the stands, I have collected four creative runs starring Superman. Dan Jurgens, Jim Lee, Kurt Busiek and Grant Morrison (six if you count Brian Azzarello's amazing Lex Luthor: Man of Steel mini and Jeph Loeb’s run on Superman/Batman). 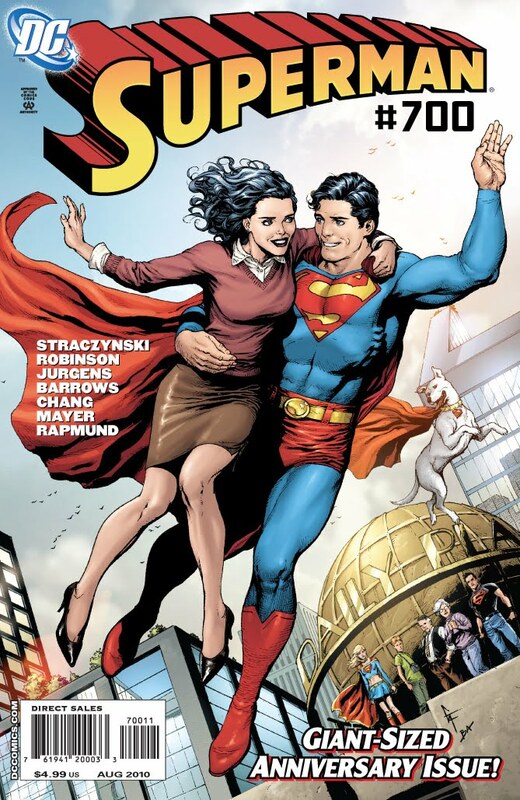 Now I’m ready to do it all again with Joseph Michael Straczynski, starting in this weeks Superman #700, which sees Superman reconnect with the day-to-day people he so often fights to protect. 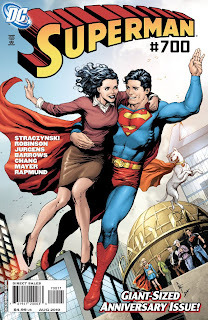 With future covers by John Cassaday it will be a walk to remember, and if you are in the U.S yourself, you can even win the chance to have Supes detour and visit your town (for details click the jump).